Nannies used to be just for the more “well-to-do” families, but that simply isn’t the case these days. Instead, there are families from almost every income bracket who hire nannies today. Having a dedicated person at your house everyday to watch just your kids is not only a bonus, but it can also save families with more than 2 kids a lot of money in child care costs. But this doesn’t mean it’s an easy task to find the single person who will be responsible for raising your kids while you are away. Consider using the following 10 tips on choosing a nanny. When you’re desperate for help, you may be tempted to take on anyone that looks even slightly appealing. While, in some cases, you may fare just fine under pressure, there is still that risk that you’ll overlook something important. So, instead of waiting until the last minute and taking a chance on lowered expectations, give yourself a realistic timeline to find an appropriate nanny – or, if you can’t help the timeline, consider an alternative option (such as help from family or friends) until you find a nanny that can meet your family’s wants and needs. Having a clear definition of what it is that you want and need from a nanny is critical during the selection process – and even when you post the ad. Nannies will apply, based on their availability, so you need to know how often and how long you need them each day or week. How much can you afford to pay? Do you need help with housework? Are you looking for a nanny who can help for a short while, or would you rather have someone that can offer their services long-term? Mannies – or male nannies – are also becoming more common, so you may want to consider whether this would be a suitable option for your family. A prospective nanny’s five-year plan might be interesting, but it tells you little about how they will care for your children. Opt instead for questions that pertain specifically to their views about children. What are their views on nutrition and discipline? How would they respond to an emergency? What might they do if your child experiences a rash or a fever, or if they refuse to eat? In other words: try to think of scenarios that you deal with every day and then ask your potential nanny how they might respond to the situation. 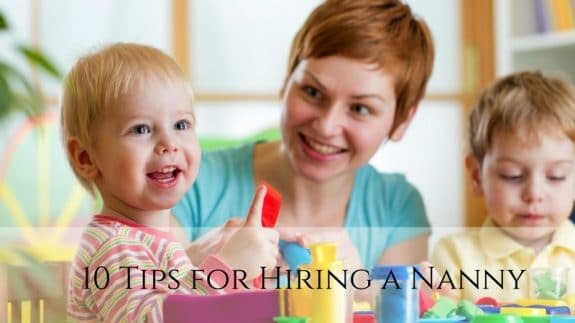 Most families will request a resume from prospective nannies, but they may not know what to look for when examining them. Watch out for any nanny that has stayed with multiple families within the past year, and strive for ones that are also okay with you contacting previous families. Parents are also encouraged to ask for references – and to actually take the time to check them. You’d be surprised what you can learn about a prospective nanny, just by spending a few minutes on the phone with someone they’ve worked for in the past. Rather than simply go off a single interview, a resume and a few references, consider scheduling a second interview with your top-rated nannies. You really want to spend time with them – preferably while your children are present – to see how they respond. Plus, the more time you spend with them, the better you’re going to know them before handing your child over to them. After all, it’s always better to be extra safe than sorry. Background checks are not all the same. Instead, you have different levels of background checks, and the ones that are offered to consumers rarely stack up. There could be sealed or expunged criminal records that you cannot see. Furthermore, there may be previous criminal acts that they were never prosecuted for. Do not take the risk. Instead, consider hiring a private detective for any prospective nanny that has made it to this point in the hiring process; it costs a little more than a standard background check, but the peace of mind it offers is well worth the investment. Outlining your expectations verbally can give your nanny an idea of what you expect from him or her, but it does not give you legal recourse if they file a claim against you (or if you need to file one against them). As such, parents are highly encouraged to put their contract in writing. When your nanny starts, it is important that you do everything you can to set them up for success. Make sure they have written instructions, a place where they can easily find whatever they might need to care for your child (including emergency numbers and healthcare records), and ensure that you have signed a medical release form that would allow your nanny to seek emergency care for your child, just in case you cannot arrive in time to ensure your child receives prompt and potentially life-saving treatment. Nannycams and other monitoring devices may seem like an intrusion of privacy, but there are countless families who have avoided disaster with such high-tech tools. Take, for example, the parents who recently watched their nanny hit and kick their special needs child. Though the mother did not install the camera until after she suspected there might be something wrong with the nanny’s care, she may have saved her child from serious and long-term injuries by installing the camera. 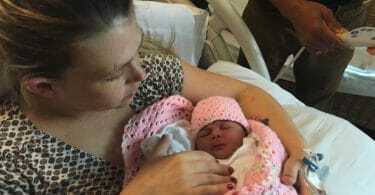 If done right, hiring a nanny can be a lot like adding a new member to your family. They care for your child, help you with the things that take your time away from bonding, and relieve the stress that so many parents experience while trying to juggle housework, children, and careers. So, hopefully, you and your nanny will get to enjoy a happy ending.